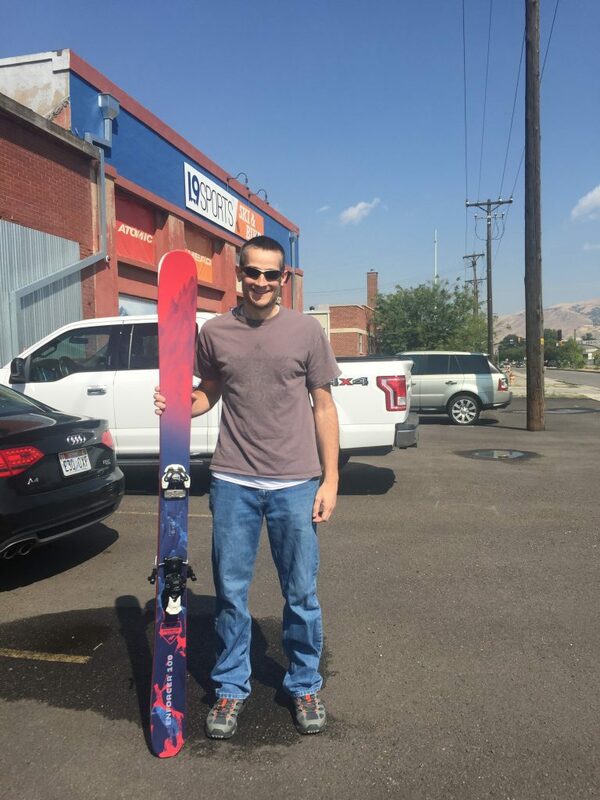 One of the main reasons why we chose to move to Utah is for the skiing! Keith and I have always enjoyed skiing and each learned to ski in Indiana at the local resort, Perfect North Slopes. People in Utah are often shocked to hear this, I guess it is unusual. 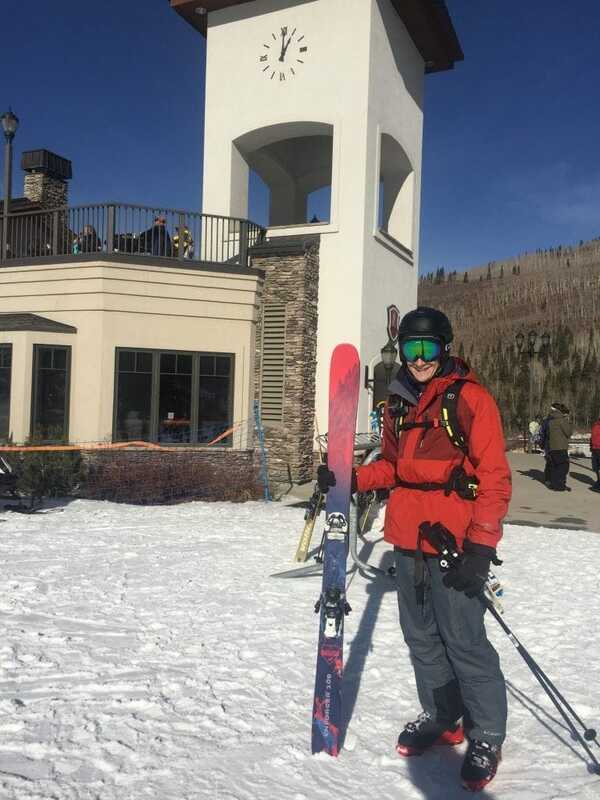 When researching where to live, we knew we needed to be near mountains and Utah really has an advantage for skiing. They aren’t kidding when they claim to have “The Greatest Snow on Earth!” Click HERE to check out an infographic about the science and statics behind this claim! Snowbird, Alta, Brighton and Solitude are all less than 20 miles north of our home and Sundance is 10 miles south. 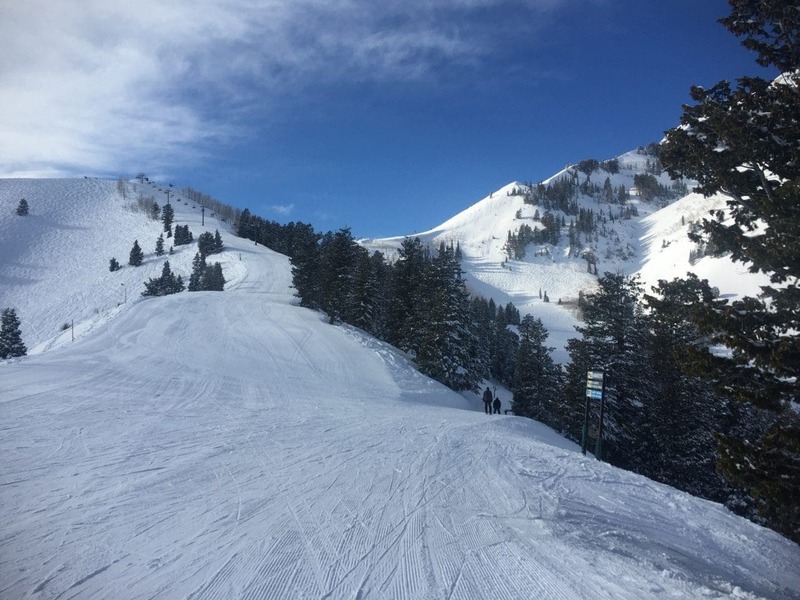 Deer Valley, Park City and The Canyons (now part of Park City) are only about 25 miles from us, but take about an hour to reach because you have to drive around the mountain. Plus there are 7 other resorts in Utah! Advantage? We think so! 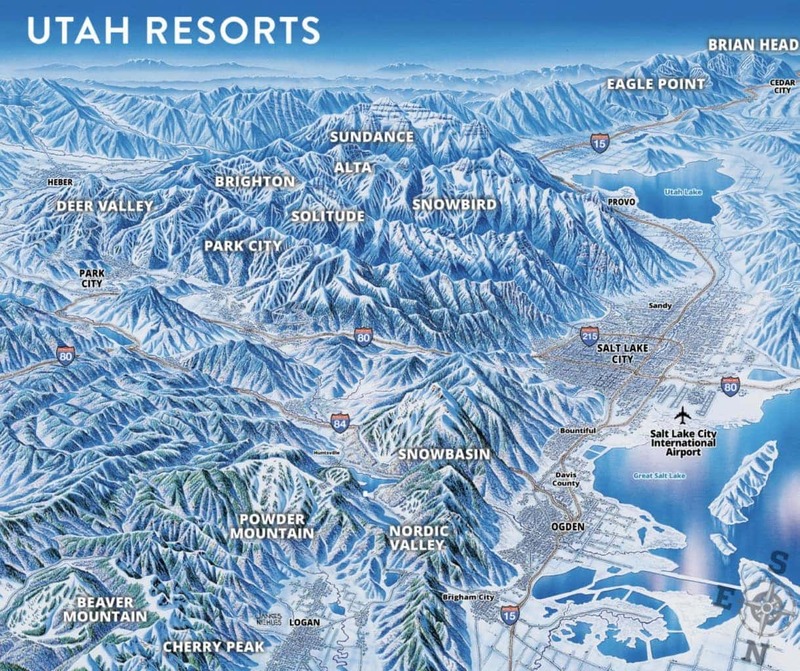 Living in Utah will allow us to ski all of these resorts, eventually. We are also within driving distance of other resorts in nearby states. As we were finishing ski season last year, we were thinking ahead to this year! We had a season pass to Sundance, which also got us a weekend at Brian Head. 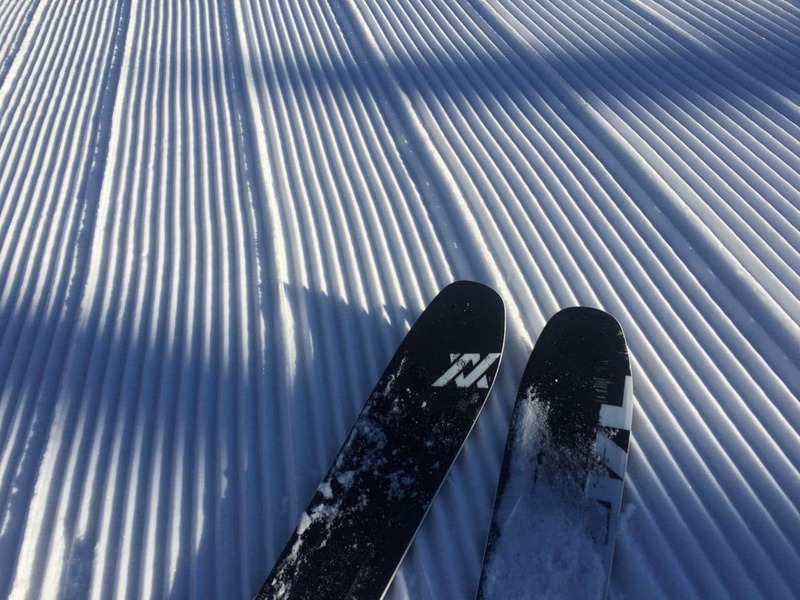 We kept busy skiing Sundance through the week and a few weekend days. 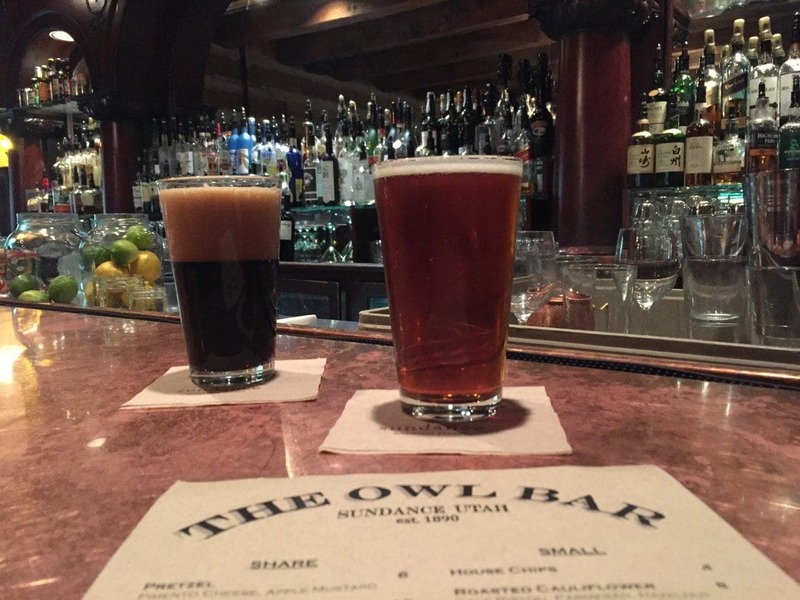 There are things we absolutely love at Sundance; the feel of the quaint resort, the nachos at the Owl Bar and the view of Utah Valley from the summit is beyond belief. However, it’s a smaller resort compared to those in the Cottonwood Canyons. 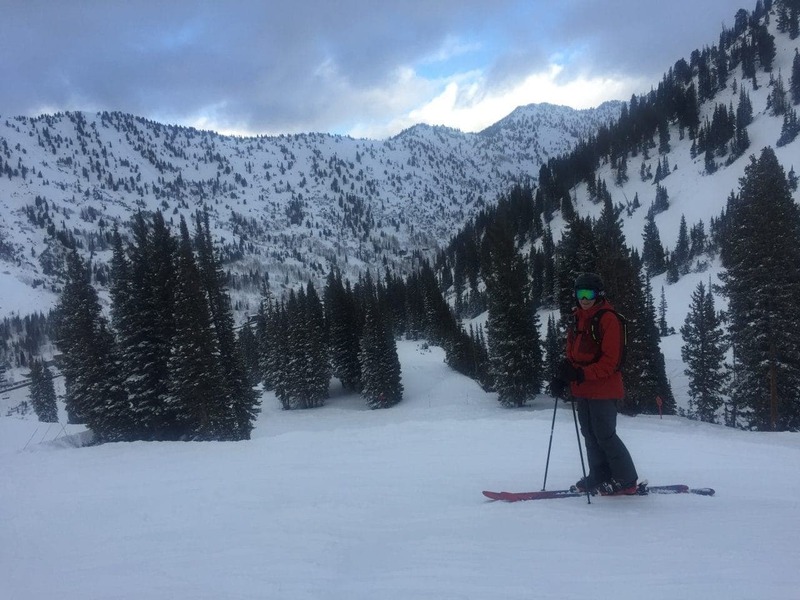 Our season pass was perfect for the first winter in Utah, but we found ourselves wanting the larger terrain. 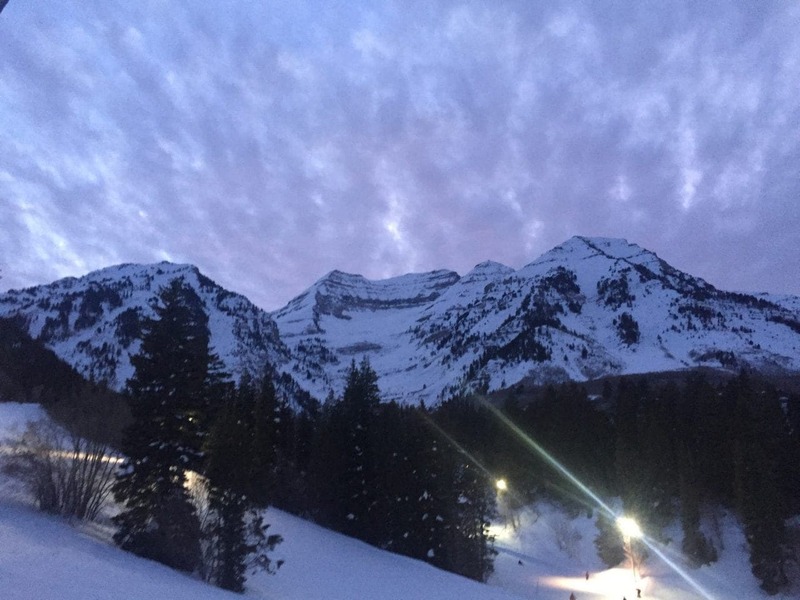 Nearly every weekend from end of December to mid-March we were at Snowbird, Alta, Brighton or Solitude. It became clear we would need to get a different pass this year and figured each year we’d do something a little different to maximize our skiing experiences. There are three main “deals” we’re using this season. The first is our Mountain Collective pass that will pay for the majority of our ski days. 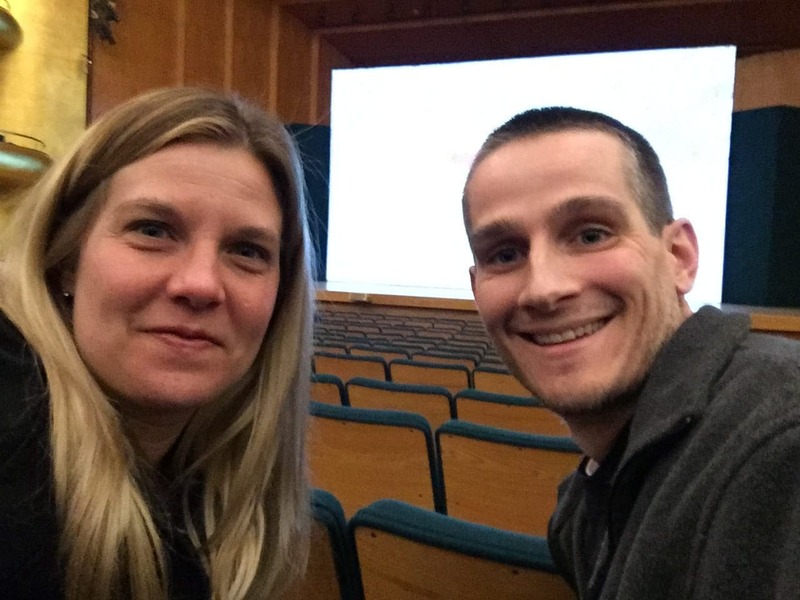 We also attended a Warren Miller Film this fall that comes with ski discounts. Lastly, we use Liftopia.com for discounted lift tickets. After researching all the pass choices and combinations we decided on the Mountain Collective pass. This pass offers 16 destinations with two days at each, we got a bonus day for ordering early. It also includes 50% off additional days. 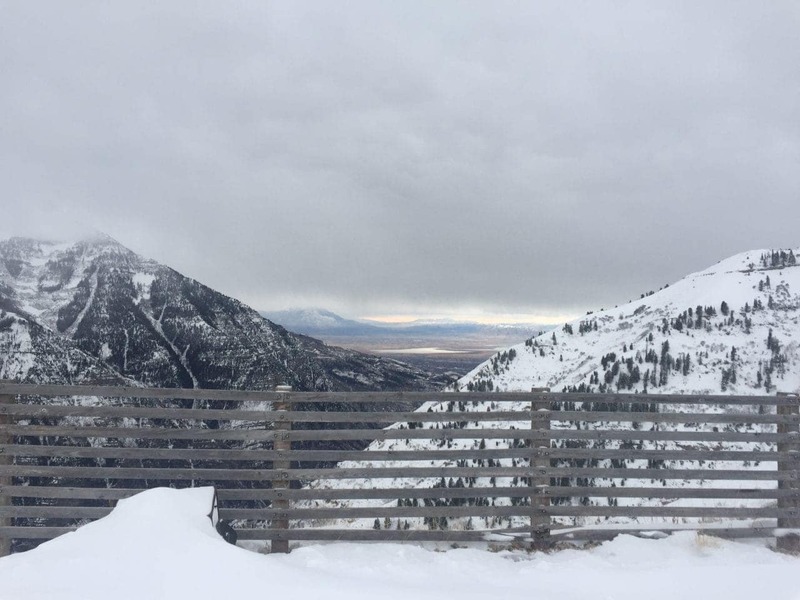 Alta and Snowbird are new to the Mountain Collective so that right there nearly paid for the pass. Since we ordered in the summer we got the best deal at $400 per person, I say that quietly because it’s like we stole the pass 😉 Daily lift tickets range from approximately $85-$120 per day. Mountain Collective was a no brainer for us. We decided we’d also do a little traveling with the pass. We already have a long weekend trip booked for Jackson Hole, WY and Telluride, CO, which are part of the pass. Booking months ahead gave us the best choice in location and pricing for hotels. 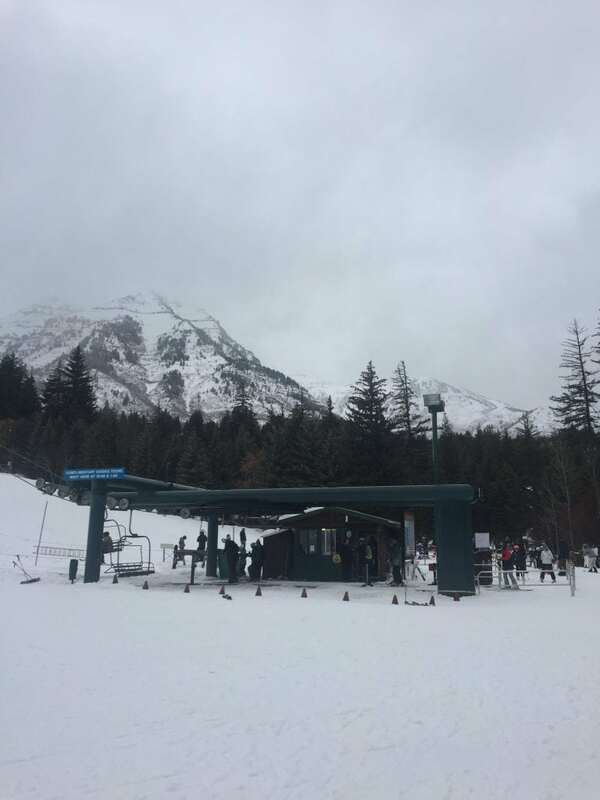 Depending on how the season goes, we’re also considering another weekend at either Sun Valley, ID or Aspen, CO. It’s going to be a busy winter! Warren Miller, 93, has had and continues to have an incredible impact on various sports, athletes, filming, photography and travel. 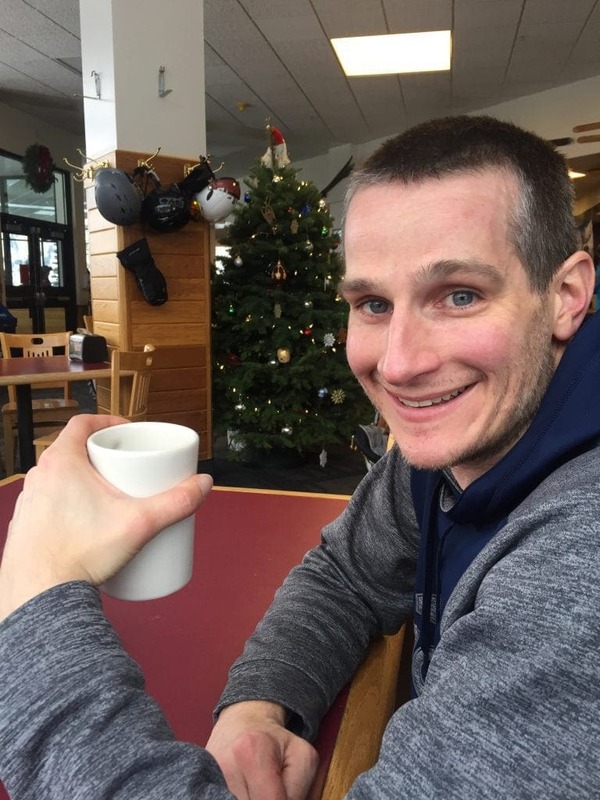 Since moving to Utah, I can really appreciate his story of living life and I feel a connection to some of his adventures. After being discharged from the the U.S. Navy, he moved to Sun Valley, ID where he and a friend lived in a teardrop camper while earning money as ski instructors. They began filming each other to improve on their skiing skills. During the summers they would surf in California and this began his life of skiing, surfing and photography. Google Warren Miller for more info on his life and work! 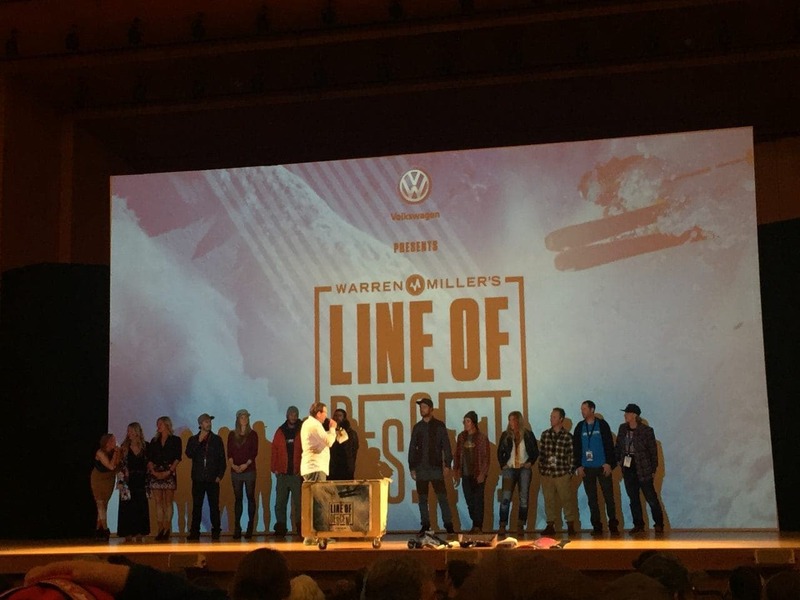 Each year since 1949, Warren Miller Entertainment has produced a feature-length ski film highlighting various athletes and resorts. The film for each year is shown around ski towns at a bargain price of $20-$25. Yes, this is more than a typical movie ticket price, but you also receive various perks. Each showing has athletes and contributors from the show that you can meet and greet. Other perks include discounts and deals at ski resorts, apparel and specialty coupons like guided snowcat skiing, etc. 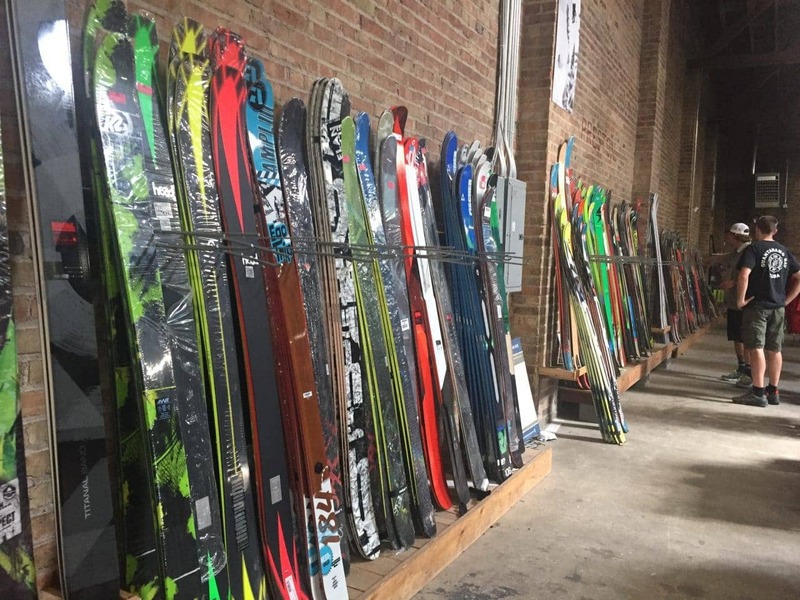 They also have giveaways during each movie; lift tickets, new skis/snowboards, apparel, etc. PLUS, there are various winter vacation prizes and a grand prize to an extraordinary location. This year the grand prize is a 7-night trip for 2 to Portillo, Chile!! Can you imagine? ? Liftopia.com is a website to order and save on lift tickets. We use this often to obtain the best deal on daily ticket prices. Some days last season we’d just pick the lowest price ticket and that is where we would ski for the day. 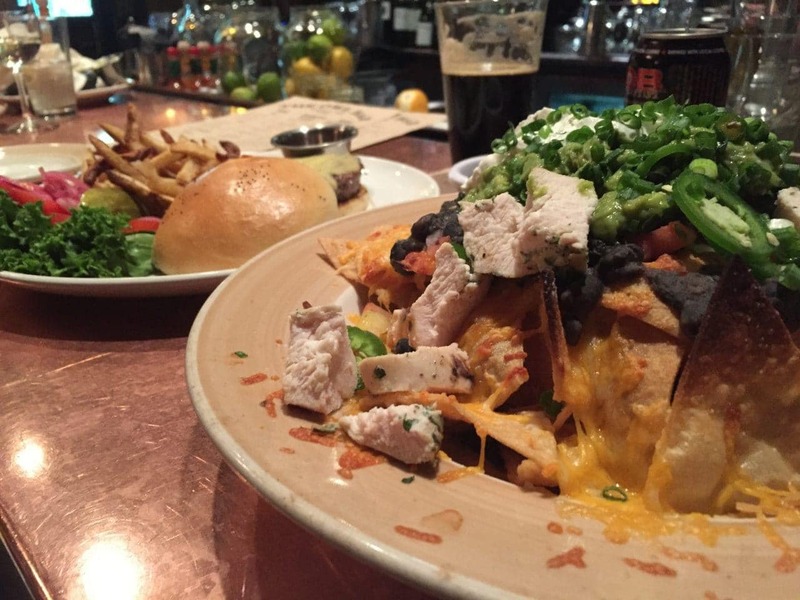 This summer we noticed that on Labor Day they offered a discount on their gift cards. We each were able to buy a card for $200 and got $250 in credit. We will use this for additional ski days beyond our Warren Miller discounts and Mountain Collective Pass. We both got new ski gear this year. It’s been 12 or 13 years since we bought new skis! 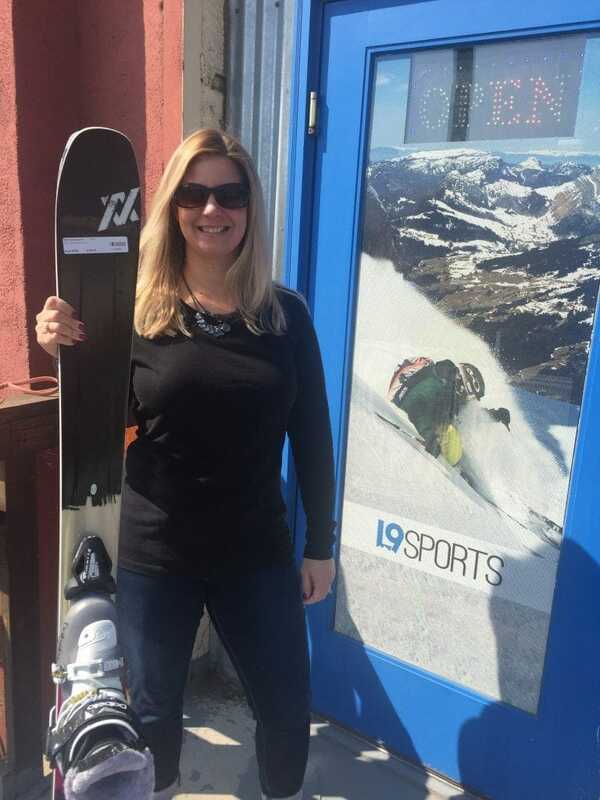 We got a great deal Labor Day weekend at Level Nine Sports; our favorite shop for ski gear, boot adjustments and learning more about skiing. They have the most knowledgeable and friendly staff. They are so down to earth and just want to teach you about what might work best for you. L9 provides wonderful individualized service. Check them out for skiing, snowboarding, cycling, mountain biking, outerwear, accessories, etc. Last year we had record breaking snow in Utah, this year is starting off a little slower. 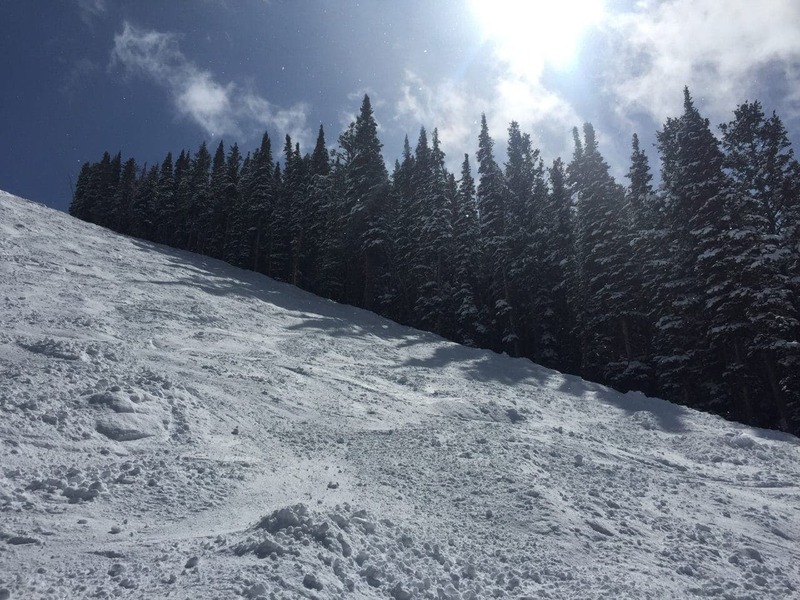 The resorts have been open for a few weeks now, but have limited terrain open. Keith was off a few days last week so we were hoping to beat the holiday crowd and get a couple days in. We ended up only skiing Tuesday at Solitude, but it was a great first day on our new skis. Not much of the mountain was open, but there was enough to break in our new gear. 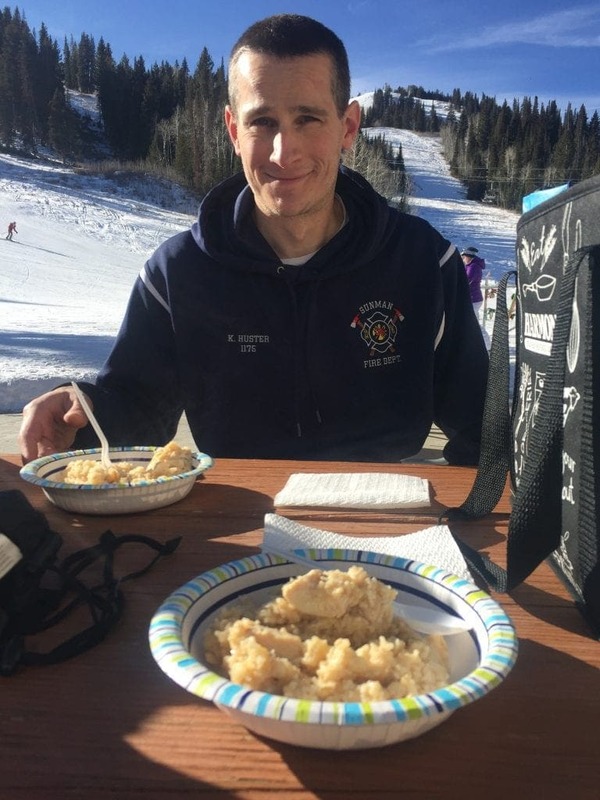 It was a beautiful day to spend on the mountain and have a packed homemade lunch on the patio. 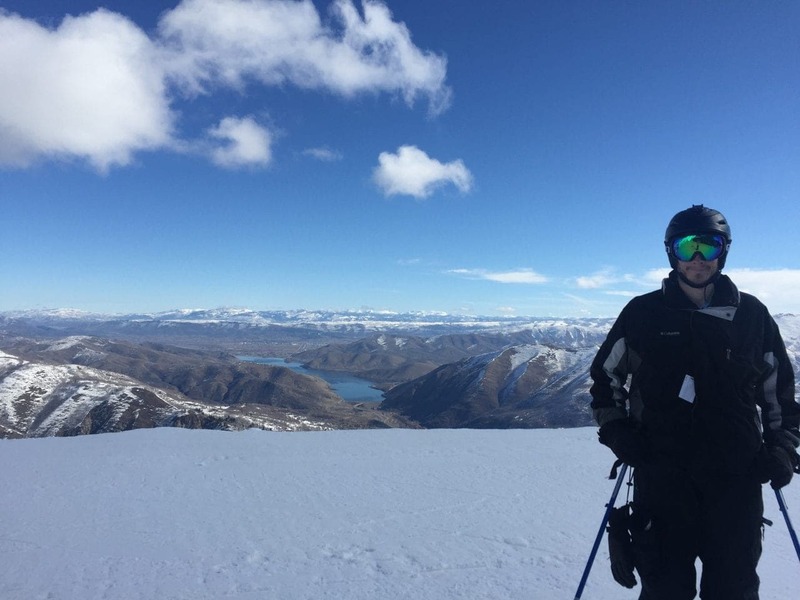 Christmas Day was a great surprise because it had snowed the previous two nights and that allowed for not only more runs to be open, but to ski in some fresh powder! This was more like “the greatest snow on Earth” that we were use to! It snowed most of the day and was the perfect setting for Christmas Day. Although our legs are a bit sore today, we can’t wait to get back out there! It’s going to be an incredible season!